There are many reasons people don’t always want to leave their pets home alone. In response to these concerns, Petcube has introduced a new smart camera with more features than a typical monitoring system. The device, called Petcube Bites, allows you to watch your dog or cat while you’re away as well as encourage exercise and reward them with a treat. It also lets you hear and talk to your pets from wherever you are. The device is set up much like any other interconnected camera, but it’s much larger to accommodate the treat-dispensing feature. It can be attached to the wall or sit on a shelf or furniture. It comes in silver, rose, black and white. 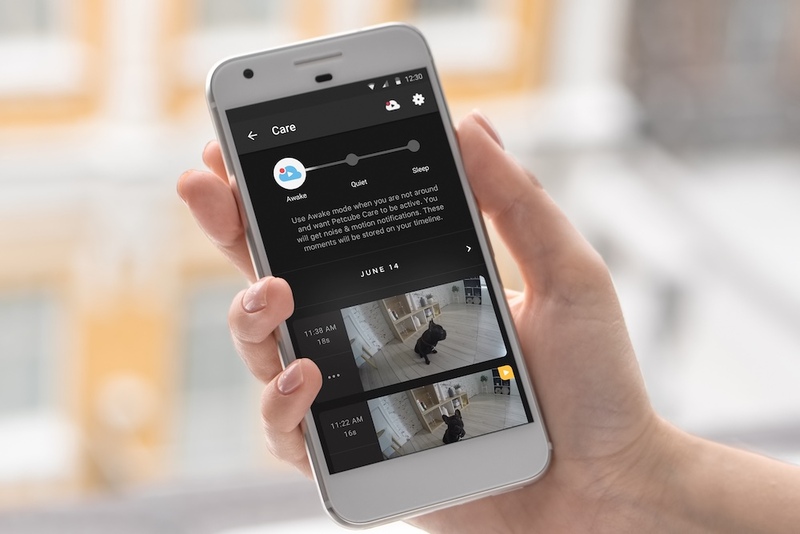 Petcube Bites works with a companion app that allows a user to see video footage of their home and their furry companions. These videos can be recorded, so you can go back and view the adorable things your pets did while you’re gone. The camera itself is very good, and could even double as a home’s security camera. Those who’ve tried the product compare it to the likes of Nest and Canary, although the quality isn’t quite as high. If a pet breaks something or is running around the house, the device can send a push notification on your phone. The motion sensors are very sensitive, so it will sometimes alert you for nothing, but a lot of pet owners prefer to have too many notifications rather than too few. Then, there’s the interactive nature of the device. If you see your pets doing anything that you don’t like, turn on the voice activation and tell them to stop. The most exciting part about Petcube Bites is that it dispenses treats. Through the app, you can swipe up on your screen to launch a treat for your pet. At this point, a treat will drop into the tray and kick itself out for your pet to catch or find. The dispenser holds most treats, as long as they are about one inch in size. Petcube also sells its own treats of the perfect size. Overall, reception of Petcube Bites has been good, although users are calling for a slightly better app design and a little more control over the treat launcher. Right now, Petcube Bites retails for $229, and if you want to access your video history, that feature comes with an additional monthly fee. Petcube raised funding for the new device on Kickstarter, and with the success of that campaign Petcube Bites is already available for purchase.